Screwdriver set for Phillips screws, magnetised. Super cushion gel grip that adapts to the shape of your hand. Blade made of fully hardened black chrome vanadium steel. 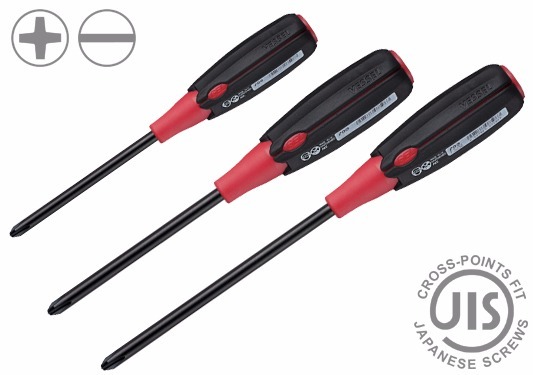 All Phillips screwdrivers in this set have dual JIS/ISO standard tips, ideal for work on old Japanese cars and motorcycles.